It has been a beautiful Fall day, abundant sunshine and warmer temperatures made for perfect fishing weather. 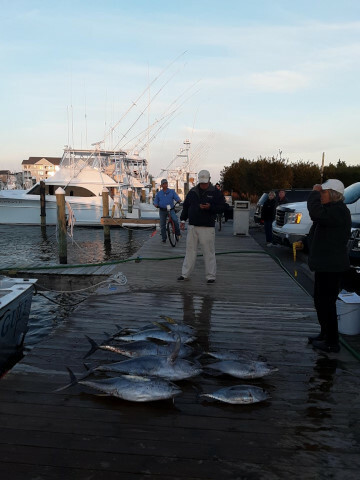 Our 3 Offshore boats ventured out and returned with some nice catches of Yellow-fin Tuna. 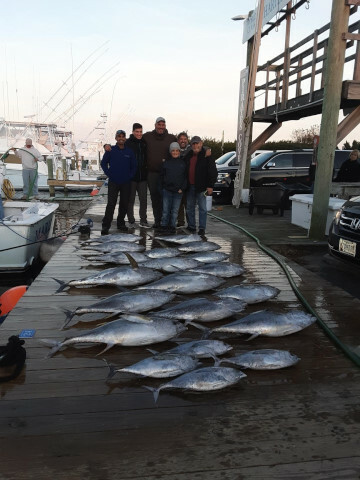 Thanksgiving week is coming up, and there are lots of mouths to feed so…Let’s keep this Tuna streak going… Come see us in the Ship’s Store, give us a call 252.473.3906 or check us out online at www.fishpiratescove.com and let us let you book your trip today.!. 10-70% OFF EVERYTHING IN STOCK… Hot Apple Cider, Mimosas, Cookies, and your chance to win a $100 Gift Certificate… There are great gifts for everyone so stop in and enjoy all the fun..